As you guys might have already figured out, I have been on the hunt for the best fine-line eraser/hair growth solution. Apart from caring for my skin and buying the best products for my hair, it is also important to recall the importance to treat your body from the inside out. By this, I mean feeding your body with the right supplements and nutrients. I can personally attest that it doesn’t matter how much products you apply onto your skin or hair, if you don’t consume the right supplements or nutrients, your “external efforts” will go down the drain. At this point, remember that a good nutrition is an effective way to compliment your beauty products’ efforts. I was required to have this on an empty stomach and then wait about an hour to have food (like who has time for that?). The supplement was so strong, that even after following directions, I used to get terrible stomachaches. The pills smelled and tasted horrible; and when I say horrible, I mean like “burned chicken feathers” kind of horrible. Of course, if you know a deal about collagen, the reality is that any good collagen product should have that “burned chicken smell;” however, I certainly couldn’t handle it. After my mini collagen nightmare, I continued doing some research on collagen and some of its best products. 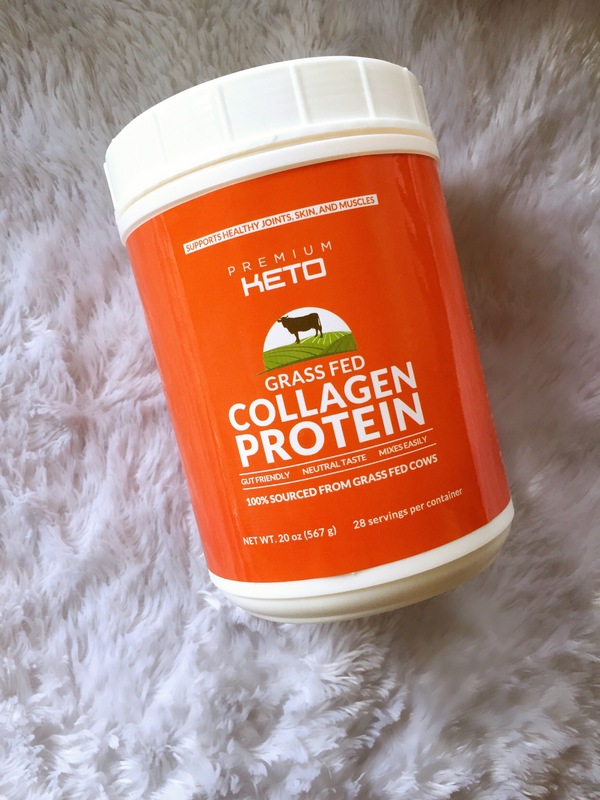 So recently, I came across Premium Keto 100% Pure Hydrolyzed Collagen Protein Powder – and now, I can officially say that I’ve encountered my mate. And even helps you feel fuller longer! When I first opened the bottle, (as you may imagine), the first thing I did was smell the powder. Not surprisingly, it still had that weird “burned chicken feather smell.” This was a positive aspect as this meant that this supplement is actually (in fact) real collagen. But even so, I was afraid that it would have the same sickening taste. The product did claim to be tasteless (but we all have tried products that claim to be tasteless but turn out to have some sort of disgusting chemical taste). I have whey protein isolate for breakfast every morning. So when it was breakfast time, I added a scoop of this supplement to my smoothie. And thankfully, this product has been great. So below, I’ll outline some of the things that I loved the most. IT IS ACTUALLY TASTELESS. Yes! I can finally take collagen without that nasty taste. No indigestion for me! I tend to get pretty sick to my stomach when I take regular protein products (I can only consume whey isolate or vegan protein without getting sick). Since Premium Keto is natural and grass fed, I was afraid to experience bloating or other indigestion issues, but thankfully, I feel well. I’m slightly more full than when taking my protein smoothie alone (nothing major, but it still makes a difference). I still don’t have enough hair growth to claim that it has made a difference on my hair; however, I can attest that my nails are no longer peeling off (yep, before taking Premium Keto, my nails would peel in layers and then break, and no supplement in the market could help this condition). I developed some little hard bumps of dryness on my arms (I’ve been experiencing a lot of all-over dryness for the past couple of months) and after I started taking Premium Keto, these bumps are definitely clearer. I’m still consuming this product, so I’m assuming that through time I will start seeing better and greater results. As we know, all bodies react differently to different supplements, so in your case, you might start seeing other great benefits faster than I did. I would definitely recommend this product, and as always, don’t forget to check it out!